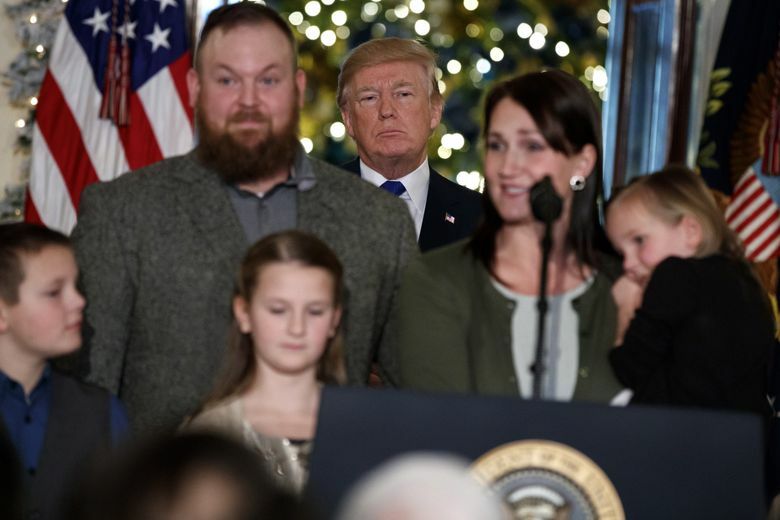 President Donald Trump told Issac and Emily Howard that the tax plan being negotiated in Congress would eliminate their $2,500 tax bill, and might give them another $700 or more back. Congress was still hammering out a plan to overhaul the nation’s tax system when Emily Howard’s phone rang. A friend, who works for a state representative in Thurston County, asked if Howard and her family wanted to go to Washington to appear with President Donald Trump at his speech about the new federal tax proposal. The White House, facing criticism that the biggest gains will go to corporations and the rich, was looking for families to illustrate benefits to the middle class. Howard and her husband, Issac, who runs a small business servicing espresso machines, fit the bill. “We found out Monday at 10 p.m. that we were picked,’’ said the Tenino, Thurston County, mother of four. The next day, the family flew East, and on Wednesday, stood near Trump as he announced how much each family could be expected to save under the plan Congress is still working out. Many of the plan’s details have not been released publicly. 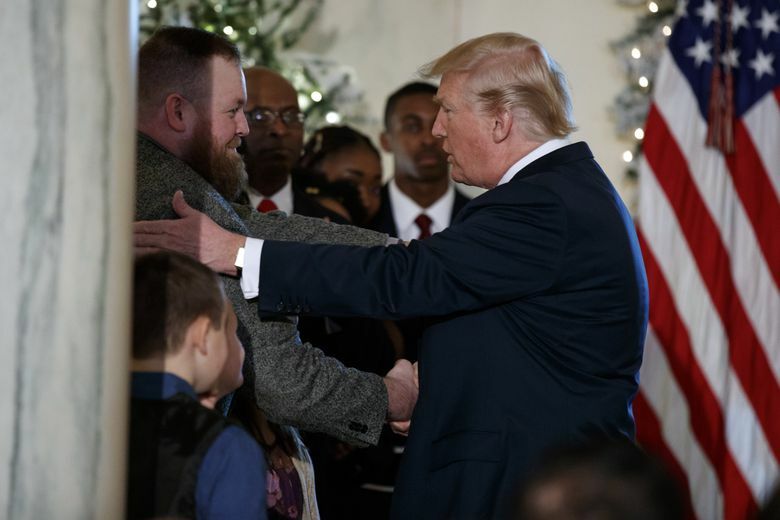 Still, the president announced what he said would be significant savings for the Howards, one of five families to appear at Wednesday’s event. And then he invited the family to the podium to speak. Emily Howard, 33, said she was surprised at the amount, having heard it for the first time only about a minute before stepping up to the microphone holding her 4-year-old daughter, Lucy, in her arms. She had volunteered to speak for her family at the request of the White House, which wanted at least one woman’s voice at the podium, she said. She praised the president and thanked him for being a good steward for the country. Later, in an interview, she said she wasn’t sure how the White House calculated the family’s new tax bill, or what provisions were changed to produce the savings. Regardless of the amount, she said, the family relishes the opportunity to be able to give more to others. After Trump’s speech, the Howards took pictures with Vice President Mike Pence, who was sitting in the front row. Afterward, her son, Gabriel, 10, asked if he could pray over Pence. Howard said Gabriel prayed aloud that Pence would continue to be guided by wisdom, and that he and the president would be successful in everything they did. The family toured the Eisenhower Executive Office Building and bowled in the White House bowling alley before heading off to the airport to return to Washington on what would be the second time in their young lives that the children flew on an airplane.